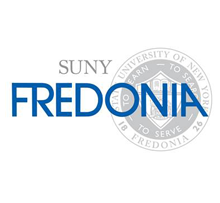 The Department of Chemistry & Biochemistry at SUNY Fredonia prepares its majors with a solid foundation of knowledge and skills with rigorous course work combined with practical lab experiences. There is a specific focus on problem solving in the laboratory and the use of advanced instrumental techniques. Green Chemistry is being introduced in the freshman chemistry lecture and labs, and skills are developed in organic, biochemistry and analytical labs. © 2019 Beyond Benign. All Rights Reserved. Beyond Benign Resources and Curriculum are licensed under a Creative Commons Attribution-NonCommercial-NoDerivatives 4.0 International License.